Product feature: The Zirbenspitz is a typical alpine house specialty. Taste: Fresh and sweet flavour, tipical wood notes, light resinous aroma. Intensive and very long finish. the nicest fruits, guaranteed regional origin & hand-picked processing, the fruits matured in the summer sun. This classic type of rye bread spicing forms the basis of our 'Vitality Bread' philosophy, and these nibbles are actually all the rage with the young and the young at heart alike. The obvious reason for the success of these Mediterranean tidbits is that they are equally suited as nibbles or as a side dish. This recipe involves adding carefully peeled sesame seeds to the vitalizing rye dough in a proportion of 17%. This imparts an unmistakable nutty flavour to these Family Happys. What makes this latest release the Vitality Baker really special is its refined combination of the flavours of rye bread and bacon. Therefore, every consumer who likes things rustic is sure to relish our Family Happys with bits of bacon. Our vitalizing Family Happys with onion & chives hark back to a long-established tradition. The fresh onions come directly the vegetable garden and are responsible for the pleasant freshness of these nibbles. Knuckle of pork smoked Villgrater approx. 1.2 kg. 10,15 EUR / 8,46 €/kg. Stone Pine Liquer 20 cl. 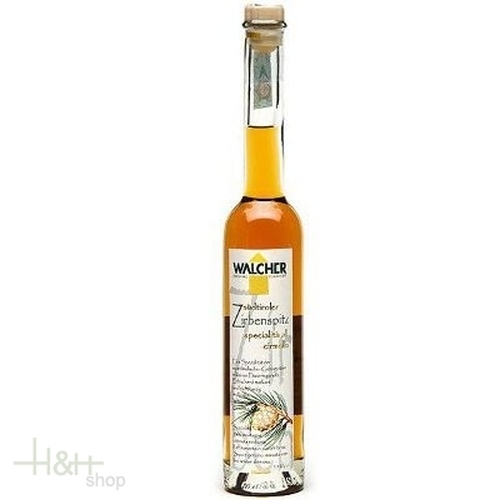 Walcher South Tyrol 9,60 EUR / 4,80 €/100 ml. Alpler 70 cl. - Roner South Tyrol 22,55 EUR / 32,21 €/lt. Kranewit Juniper Schnapps L. Psenner 1 lt. - South Tyrol 19,40 EUR / 19,40 €/lt. Cheese dumplings 4 pc. - approx. 320 gr. - Butchery Steiner 6,95 EUR / 21,72 €/kg. Enzian Gentian Roner 70 cl. - South Tyrol 20,70 EUR / 29,57 €/lt. Saltners Herbs Bitter 20 cl. Walcher South Tyrol 8,95 EUR / 4,48 €/lt. Gentian Schnapps 40 % 70 cl. - Distillery Walcher 19,00 EUR / 27,14 €/lt. Saltners Herbs Bitter 70 cl. Walcher South Tyrol 17,85 EUR / 25,50 €/lt.